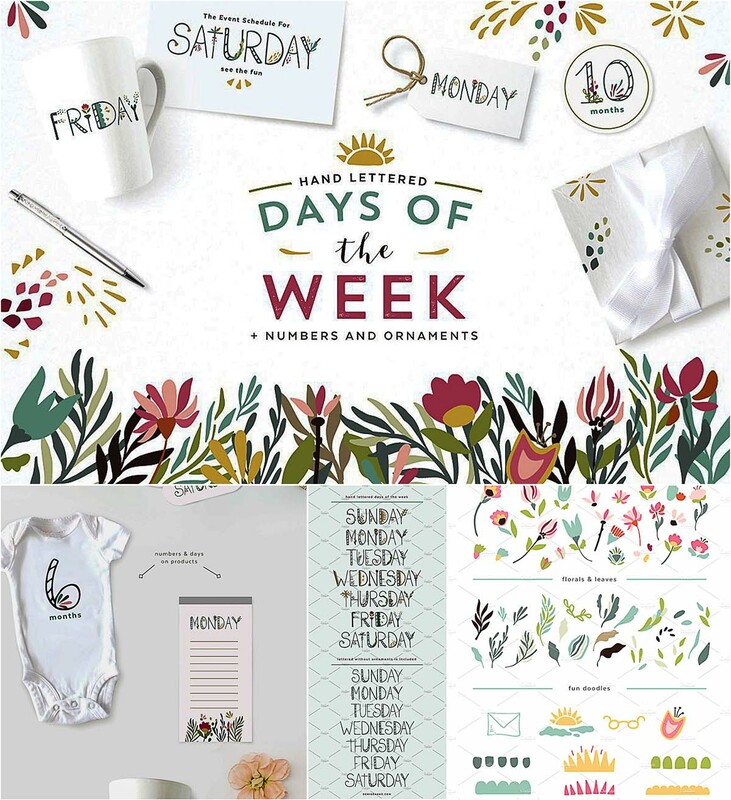 This graphics pack features hand-lettered days of the week, with detailed flourishes, and ornaments. 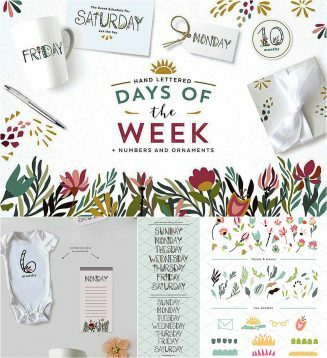 They are illustrative graphical days, and work for creating pretty daily stickers, labels, calendars, notepads, shirts, and the days would make cute social posts too! Tags: botanical, branches, day, flourish, hand lettered, number, week.